One of the best reasons to choose a good bike hotel is their skill to show the best their region has to offer - like routes, rides, food & drink that I simply could not find on my own. 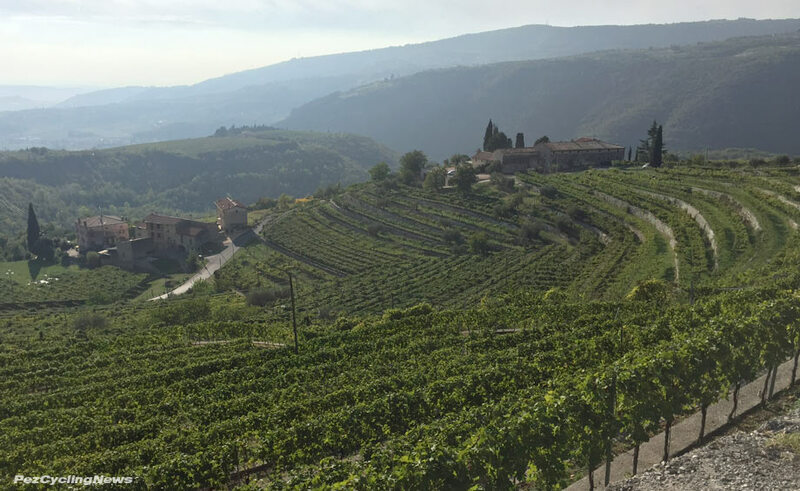 This ride (and subsequent wine tasting) never would have have happened without my guide from Garda Bike Hotel leading me on a relaxed ride through the hills of Italy's Valpolicella region and an even more relaxed stop at the Santa Maria Valverde winery. Quick disclaimer here - we like to use our Top Ride series to tap readers into the best routes and rides we've found, whether they're on epic courses or legendary climbs, or amazing routes that are best savoured on two wheels. But what makes a Top Ride a 'top ride' is not always the parcours - it's also the people, the adventures and stops along the way, and simply discovering something so different from my own daily routine that it sticks with me long after. This ride from the Garda Bike Hotel on Lake Garda started as a simple 2-3 hours at a gentleman's pace through the local hills - then turned into some indulgent wine tasting that unexpectedly reduced my ride to a van pick-up, and a story I had to share with PEZ-Fans. There were so many gorgeous photos from this ride that I actually had a long think about which one to lead with. I chose this shot of the grapes hanging because it really defines this particular ride - and the events that transpired - ie: more than my average amount of wine consumption for a late-afternoon bike ride. I've ridden through the area before - back in 2012 when the PEZ crew stayed here to celebrate our 10th anniversary with some camaraderie and great rides in Italy. 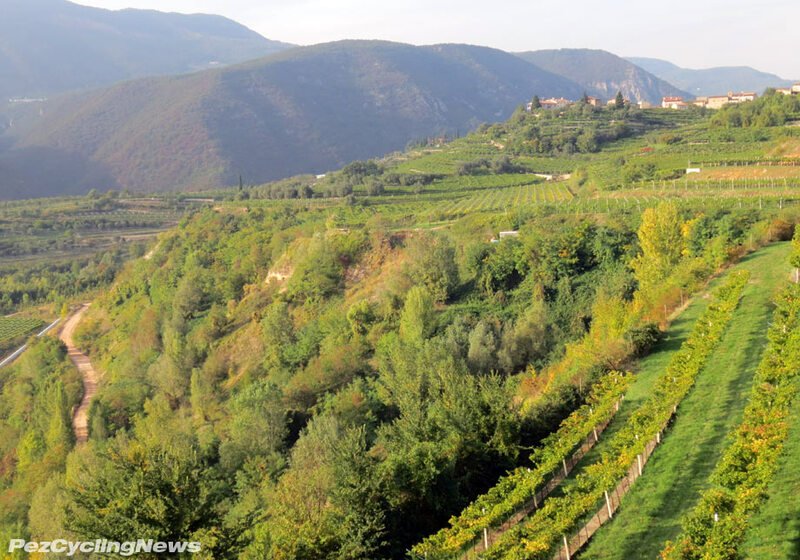 That day we travelled these roads in the opposite direction (read it here), so cresting the climb above the village of Marano revealed a view across lush grape-swollen vineyards that was nothing short of breath-taking in the late afternoon light. I was back in Italy for a week visiting some of the best bike hotels in the region, taking a day to chase Il Lombardia, and a little riding. My host today was Nicola Verdolin - he runs the excellent Garda Bike Hotel in Peschiera del Garda with his brother Alberto - under the watchful eye of their father and life-long hotelier Lorenzo. 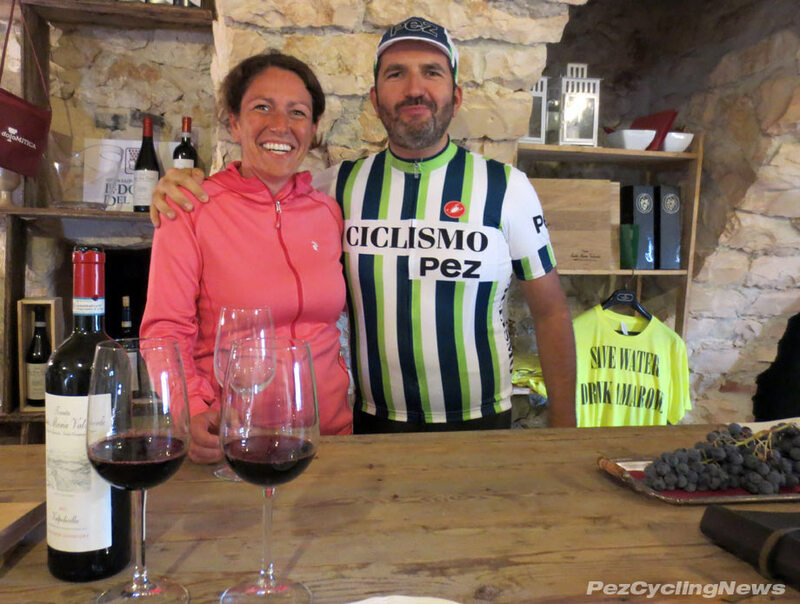 They're experts in the hospitality business and run one of the best bike hotels I've seen. By early October, the capacity crowds of tourists and cycling groups have thinned considerably, although sharing the dining room with me were a few families with young children here to take in the nearby Gardaland theme park, and even a few other cyclists. But on this day, the ride group was Nicola and myself, setting out after lunch for a late afternoon pedal through the hills of the Valpolicella region - famous for its valpolicella and amarone wines. One thing I like about the cycling program at Garda Bike Hotel is the flexibility of the ride schedule. During high season, things are more structured, depending on skill levels and group sizes, but today was more like two old friends heading out with plan of nothing more than "where should we ride today". Some background here - I've known Nicola for a few years now - we first met at the 2008 Giro when I stayed under his roof at another hotel. In 2012 his family opened the brand new Garda Bike Hotel just minutes off the A4 autostrada, adjacent to the ancient fort town of Peschiera del Garda and I stayed here with the PEZ Crew. 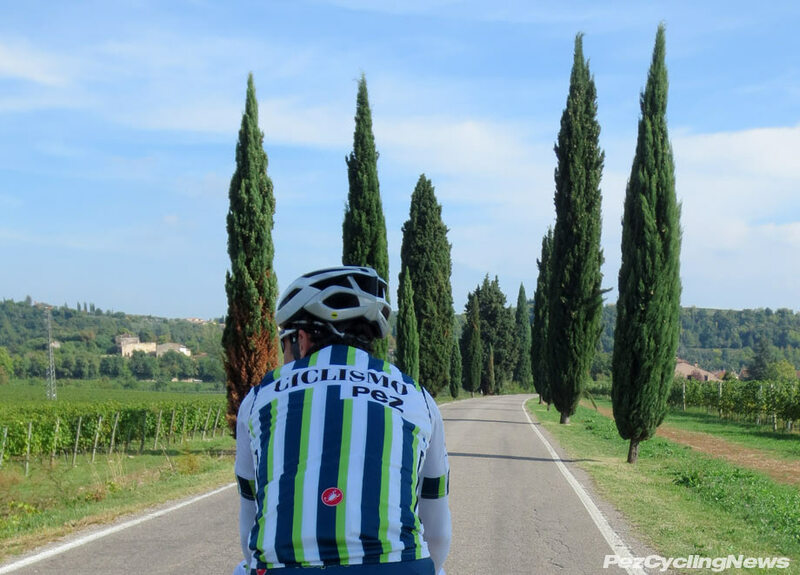 I've been back a few times since, taking advantage of the prime location as I chase the Giro across Italy, taking in the abundance of top rides the region has on offer, and even staying here with Mrs. Pez and enjoying the touristic diversity of Verona - just 20km away. But like the best hotels I've found in Italy, it's the people who give me a reason to return - I want to minimize the unknown when I travel, and maximize my known level of comfort, convenience, connectedness (the wifi here is excellent), good food and good times. Garda Bike Hotel scores high on all points, and it's plain to see why they have a high return rate for clients from all over Europe, and more from North America as riders on our side of the pond discover this hotel and the cycling in the region. Unbeknownst to me, Nicola had arranged for us to visit two wineries on our 75km afternoon jaunt. I've come to trust his guidance, so I knew they'd be good stops. In addition to running many of the daily operations at the hotel, Nicola also joins guests on rides as much as he can - which usually ends up at 5-6 times a week. His nickname is "Il Locomotivo" - which is obvious as he sits on the front and churns out a steady 28-30km pace. After a leisurely ride across quieter roads and bike paths (the kind only known to locals), we crested a small climb which gave us a sweeping view across a valley to the next set of hills - and our first stop of the day. The climbs were short - maybe 2-3 km long and an easy 4-6% grade - perfect for my late season form (or lack thereof), and even though we were surrounded by farms, towns, and vineyards - traffic was almost non-existent. As we descended from Marano past fields of grapevines to a stone farmhouse I recognized from our ride here a couple years ago, Nico pointed this out as our first stop - the Santa Maria Valverde winery. We were greeted by Ilaria - part of the famed Campagnola wine family (she showed me a photo of the family display from the 1926 wine fair in Verona.) Now - as much as I love negronis (you all know what I'm talking about), I also love good Italian wine. And as excited as I was to be making this stop, Ilaria seemed even more excited to be hosting us. She quickly ushered us into the official tasting room... 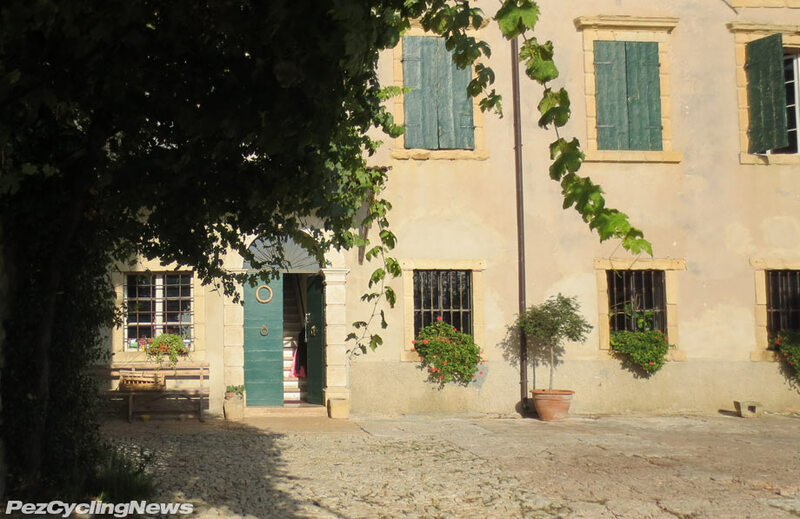 The estate is in a fully restored centuries-old stone farmhouse that's been repurposed from housing farm animals to making wines. The entire structure is made of stone blocks, with low arched ceilings - that this day was lit by warm late afternoon sun beaming in the small windows. 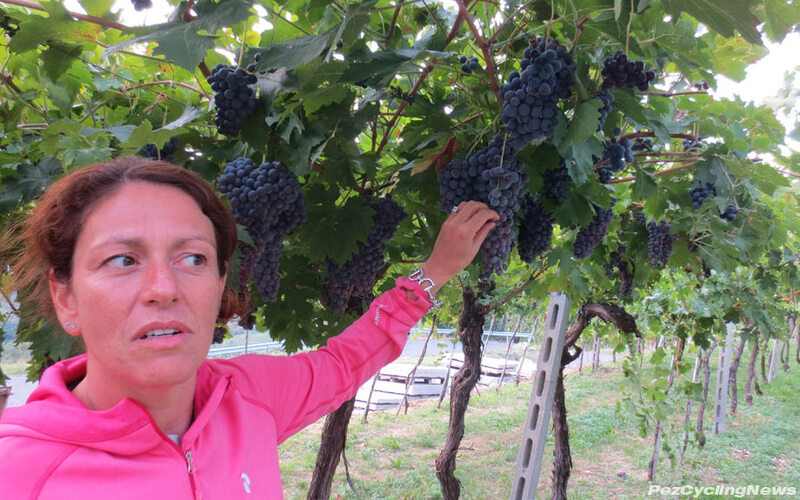 We pulled up two stools at the rustic tasting bar, and Ilaria set in with a brief but enthusiastic description of their wines, grapes and process. Far from being rehearsed or formulated, her presentation was like the best ones I expect from real Italians - passionate, not entirely linear, and sprinkled with side bars and minor direction changes. 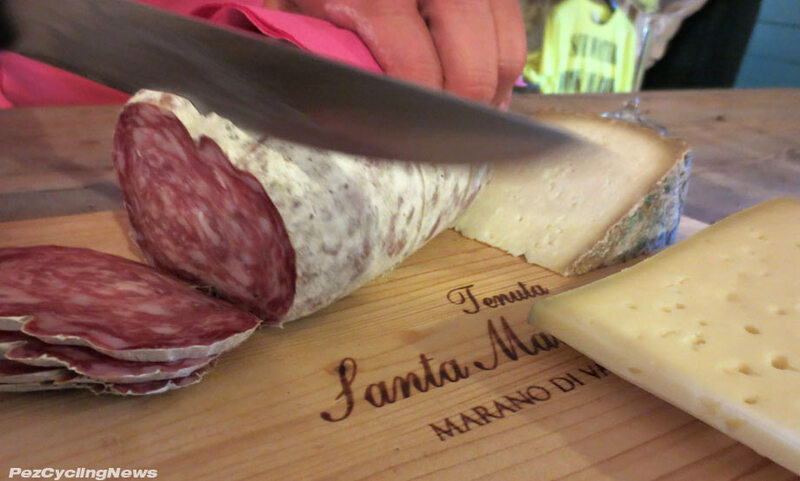 She immediately uncorked a fresh bottle of their signature Valpolicella Classico, sliced bite-sized chunks of formaggio parmagiano, some healthy hunks of salami, and then dashed out of the room to fetch some fresh bread and olives to go with. I was already getting hungry, but this was a hundred times better than a coffee stop. 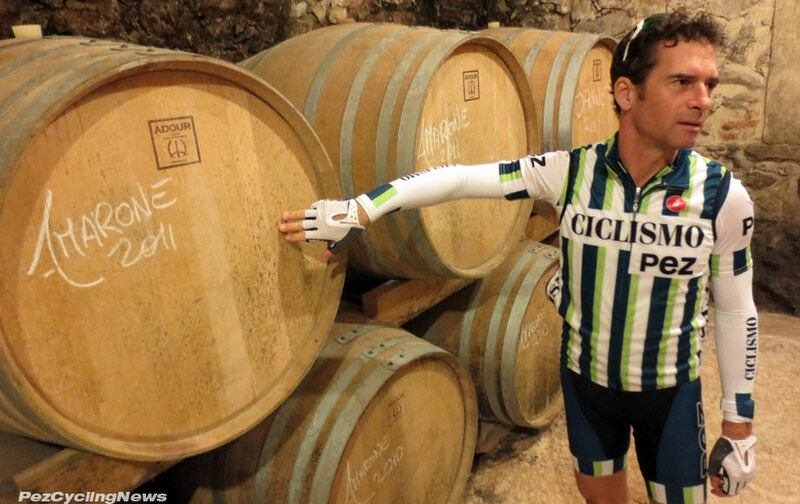 Normally I'd rank mid-ride wine not high on my list of to do's, but that doesn't mean I've forgotten how to be a cyclo-tourist. One taste of the wine was all I needed to have another (which quickly required a refill of my glass). The velvety fruity goodness that defines valpolicella (I call it 'heaven in a glass') was a much better option than what was in my water bottle. I was thirsty... and I thought, "hell yeah, let's drink some wine!" I tried to not look too greedy, but come on... Ilaria wanted me to enjoy the wine and these tastes of what makes life here so much different from my own life back home. So I did. There was a brief stop to tour the facility. 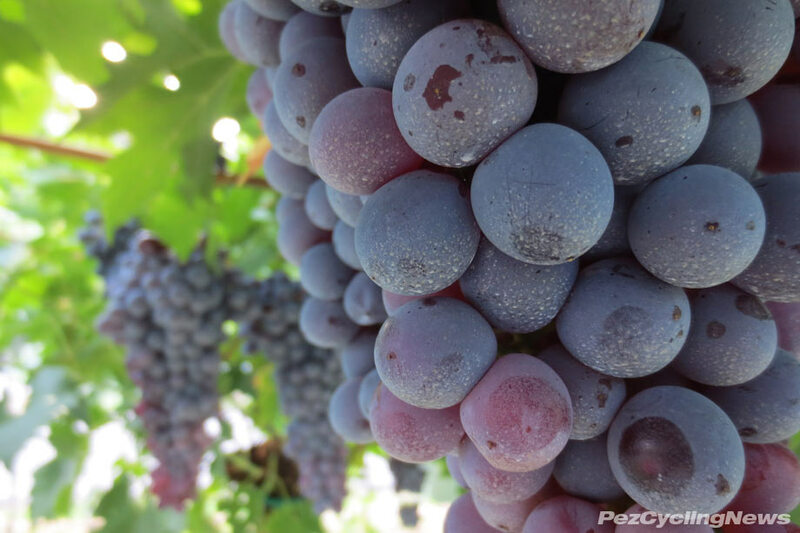 Much of the wine is made from grapes grown in the immediate vicinity (ie: across the road), but they'll also use grapes from other estates that meet their specific requirements. 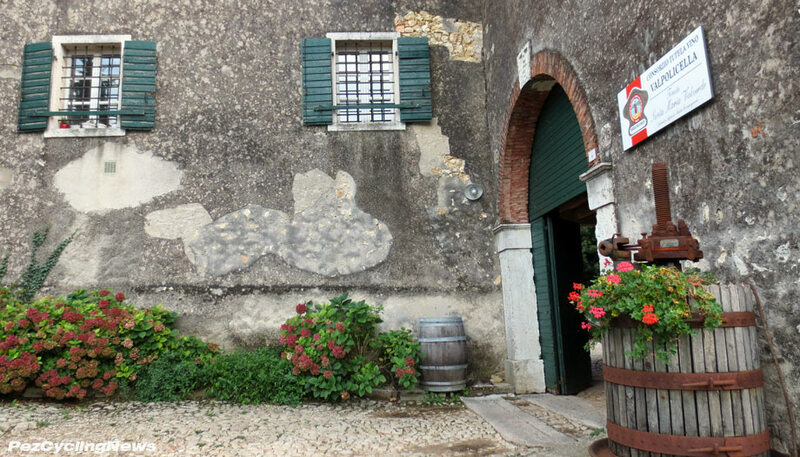 I learned that valpolicella wines are made from blends of locally grown grapes like rondinella, molinara, corvina, corvinone, and osleta, but known by the name of this small region between Lago di Garda and Verona. 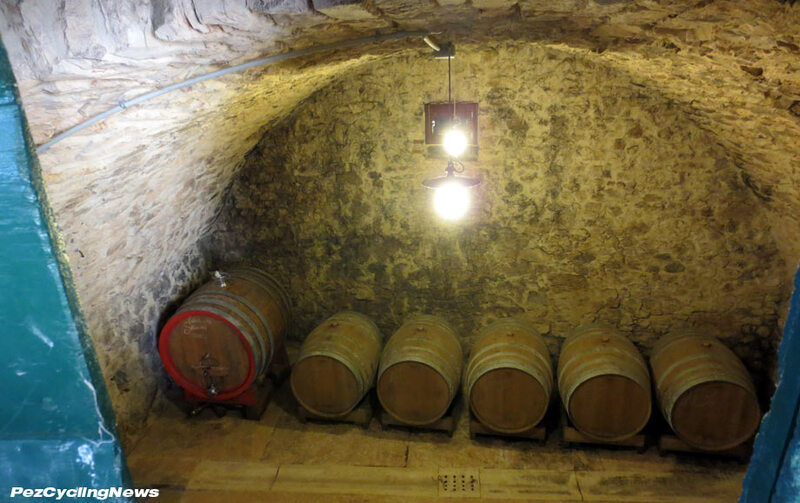 Wines are pressed on site, and then aged for several years in barrels specially made of French oak (and used for only one batch of wine). 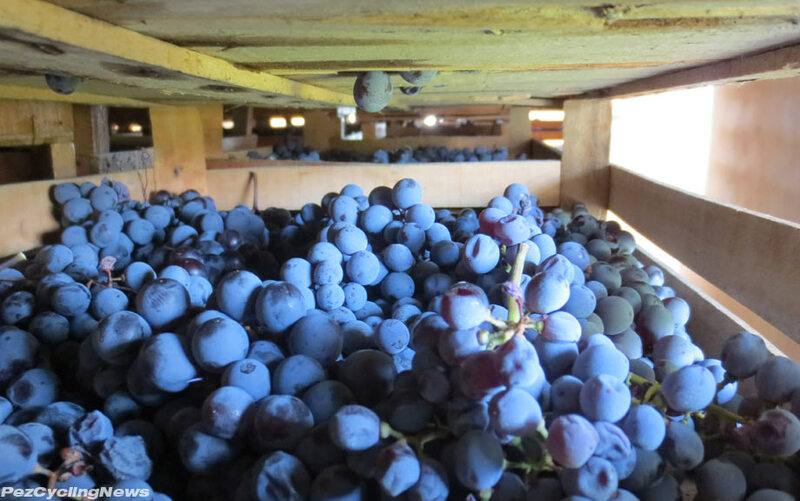 They make three types of valpolicellas here: Classico, Classico Superiore, (this season's grapes for each had already been picked and pressed) and the stronger Amarone - which requires a longer aging of the grapes both on the vines and then in wooden crates. 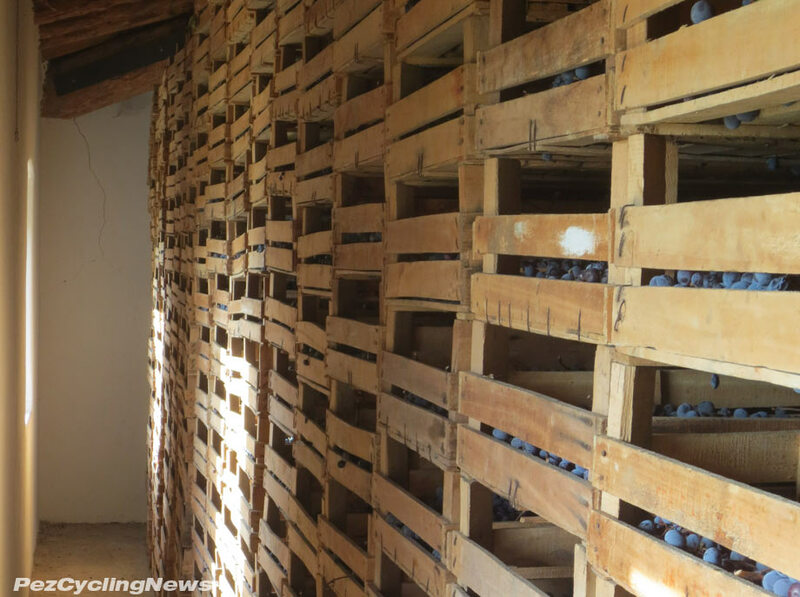 The grapes for amarone wine are picked later in the season, and then stored in these crates for 3-4 months in the colder autumn and winter weather, allowing some moisture to evaporate, and the concentration of natural sugars and tannins to increase, thereby creating the distinct flavor the amarone's are known for. After about 45 minutes of drinking wine and enjoying myself, Nicola reminded me that we still had another winery to visit. We were still some 35km from home, and by now I was thinking we'd best make a beeline for it, as the sun was getting low. When I suggested we save the second winery for another day, he said it was too late - they were waiting for us. Down the hill and a few kms away we pulled into the next winery, but that's a story for another day. In short, more wine was enjoyed, it was getting dark and Nicola called the hotel to send a driver to pick me up. Meanwhile, he set off to finish the last 30km on his own, and he told me later he had to stop at a local shop to buy a light. In fairness, Nico did the lion's share of the ride on the front, but I was drinking the lion's share of the wine, so while I opted for the cab-assisted bailout, "Il Locomotivo" never waivered from completing the ride. What I thought would be an uneventful ride turned into an awesome experience that deserved a story on PEZ. And that's what you get from a great guide and as part of a great stay with bike hotel that knows the best holidays are about a lot more than just riding.